This ageless tale borrows symbolic ideas from the Bible, powerful cultural traditions, and spiritual values. Cupid is an angel of heaven who is given a divine assignment to change the heart of the fearsome King Babaloney, who rules the terrestrial kingdom of Muck. The King’s worldly power is based entirely on his own selfish whims and ego. This limited-edition original fantasy reveals a new view of Cupid and a fresh look at the symbolic images we associate with the celebration of Valentine’s Day. This read-together family fable will open your mind to a fun new look at the symbolism in powerful cultural traditions and universal spiritual values. 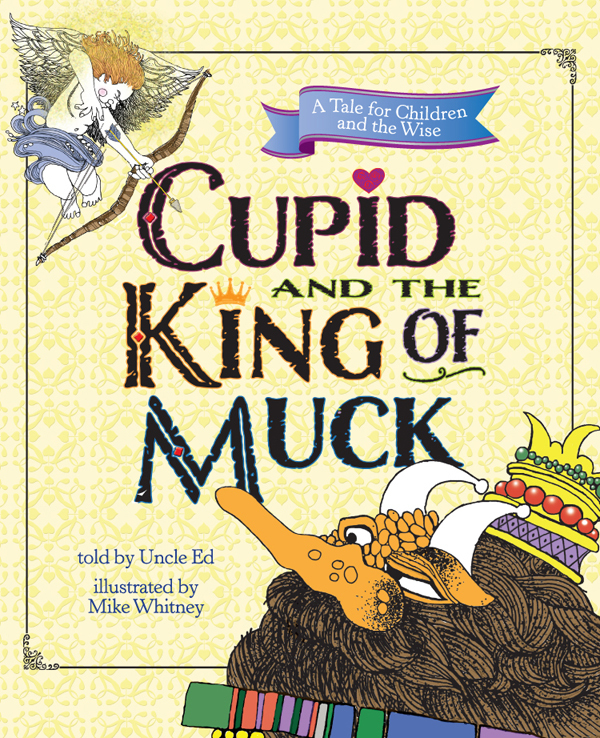 Cupid and the King of Muck is the first book in a special series from Uncle Ed, “Tales for Children and the Wise,” written to bring out the inner child in the parent and the wisdom in the child. Enjoying this book together will increase your child’s love for learning. 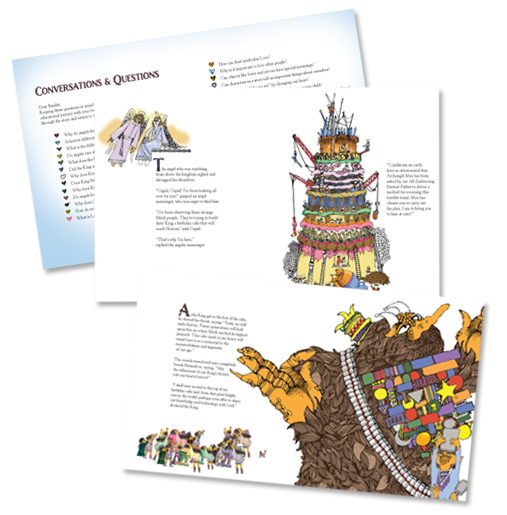 It includes a list of questions to help spark the kind of discussions that bring parents and children closer, which is essential in these times when busy families are challenged for time together and even more challenged for the opportunity to connect on meaningful spiritual topics that help kids grow with wisdom, confidence, humor and love. Limited Edition Available on Amazon While Supply Lasts!